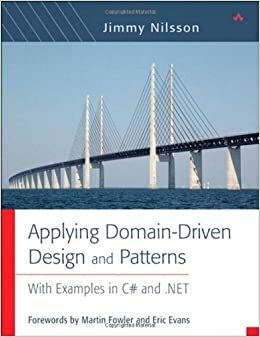 You might find Domain Driven Design and Clean Code useful as they give you a set of patterns that work well together and a set of principals for evaluating when to apply a pattern. DDD resources: the book, free quick intro, excellent walkthrough. Clean Code resources: summary, SOLID principles. You are already using the Repository pattern (your utility classes) which I'd probably use here as well. The static members can make the code difficult to test but otherwise aren't a problem. If the Repositories become too complex, break out the low-level API communication into Gateways. Since an entity is split across multiple data sources, consider modelling this explicitly. For example: Person, HumanResourcesPerson, AccountingPerson. Use names understood by the external systems and their business owners (e.g. Employee, Resource). See Single Responsibilty Principle and Ubiquitous Language for some reasoning. These may be full Entities or just Data Transfer Objects (DTOs) depending on how complex they are. The synchronization might be performed by an Application Service that coordinates the Repositories and Entities. Like the title says; it's basically a book on how to to DDD and TDD in a .NET environment.